Snoring & Sleep Apnea – How is it Causing my Child to Snore? There are many reasons why infants and children snore. Most of the time, children snore because of congestion from a cold or infection, however, snoring may be an indicator of a more serious condition such as sleep apnea. Whatever the case may be, stopping the snoring should be a priority for parents. The first step should be alerting and visiting your doctor or pediatrician. Children who snore can experience life-altering side effects from snoring such as growth halts, behavioral issues, and having a weakened immune system. Let’s get to the bottom of how it all starts. Enlarged tonsils and adenoids are 2 of the most common reasons infants and children snore. The tonsils are located in the back of your mouth on either side. They fight infection and filter out microscopic germs. Many children are repeatedly diagnosed with strep throat in their younger years and strep can cause the tonsils to enlarge, get red, and make an already sore throat even more painful. When the tonsils enlarge, they block the flow of air down the airway, which creates the soft tissues in the throat to vibrate, since the air is forcing its way through the passageway. The sound of these fatty tissues vibrating is known as the sound of snoring. It’s common for children, of all ages, to snore when they are sick, not just because they are congested, but due to inflammation that may be occurring in the tonsils and adenoids. Adenoids are soft tissues located behind the nasal cavity. They, like the tonsils, act as a filter in the body and catch germs that may be inhaled before they enter the body. If the adenoids are working overtime to fight off an infection, the adenoids may swell slightly. If swelling occurs, they may block the flow of air down the throat through the nose. If there is a blockage in the airway, snoring commonly occurs. If your child does not have an infection or illness, it’s possible that the snoring is coming from a more serious condition called sleep apnea. Sleep apnea occurs during the night when your body momentarily stops breathing and there is no oxygen entering your body. Snoring is one of the most common indicators of sleep apnea. There are several risks of developing sleep apnea in children who are obese, have unusually small jaws, have down syndrome, are between the ages of 2-6. Children that are obese may snore as a side effect of sleep apnea. When you are obese, at any age, you can develop extra fatty tissues in the neck and throat. The extra tissues block the entryway for air to pass into the lungs, thus limiting oxygen into the body and brain. A study from 2010 suggested that 46% of obese children were diagnosed with obstructive sleep apnea. Small and petite children can often have a smaller frame and bone structures than other children. If a child’s jaw is very small, the tongue can recede into the back of the throat farther than usual during the night. If this occurs, it can create a blockage in the airway. The back of the throat where the tongue relaxes is the most common area of airway blockage with people who have sleep apnea. Children with Down Syndrome are 60% more likely to develop and be diagnosed with sleep apnea. The reason is simply based on the anatomy of children who have Down Syndrome. 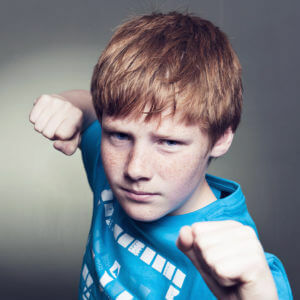 Typically these children lack muscle tone in the mouth and throat, which leaves flabby, fatty tissues lining the throat. These tissues can create an airway blockage and also produce a loud sounding snore. Children who are between the ages of 2 and 6 are more at risk of snoring. This is mainly due to the fact that children in this age range typically start daycare or school and are more susceptible to germs and illnesses nearby. The more they are exposed to germs and viruses, the more likely they are to get sick and experience inflammation in the nose and throat which will cause snoring. Raising children can be difficult and problematic enough as it is, but throwing in the side effects of having sleep apnea from your little one can be even more stressful. Your child may experience extreme tiredness throughout the day, which can lead to an unpleasant day for the parents and child. When you experience sleep apnea and constant snoring throughout the night, your brain does not receive the correct amount of oxygen that provides a solid night’s sleep. Instead, you wake up hundreds of times throughout the night, usually completely unaware due to falling immediately back to sleep, and your body does not fully rest. Snoring is the most common side effect of sleep apnea. When the airway is blocked in the back of your throat, the tissues in your mouth start to vibrate. When the vibration occurs, the sound of snoring begins. The more fatty tissues that line your throat and mouth, the louder the sound of snoring. Behavioral issues can also occur in children who experience sleep apnea. This can also relate to the child not getting enough sleep and they can be grumpy and difficult to deal with. More serious behavioral problems can also occur because children need oxygen in order to continue to grow into healthy adolescents and adults. If oxygen is deprived to the brain constantly and goes unnoticed for months or years, this can impact their ability to learn, act, and associate with peers and adults. Many children who snore or have sleep apnea often sleep in very awkward positions. This may be due to the fact that their body is subconsciously positioning the neck back so that air can flow down their airway. 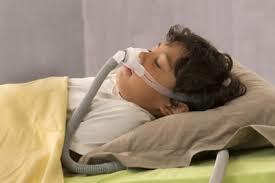 When a child wakes up in the middle of the night due to sleep apnea and tries to gasp for air, they may toss and turn into a weird sleeping position and then immediately fall back asleep, most of the time not even realizing they woke up. If your child is potty trained and unexpectedly wets the bed, it may be a sign they have sleep apnea. Oxygen is cut off from the brain when a child has sleep apnea and lack of oxygen can stop or halt certain neurological impulses that control body functions. In this case, the impulse that triggers the child that they need to use the restroom could be misfiring, resulting in the child wetting the bed. Snoring and sleep apnea prohibit children and adults from getting a good night’s sleep. This can be extremely detrimental to the immune system and cause it to weaken. Children need their sleep in order to stay healthy and if they have sleep apnea or snore on a regular basis, this could lead to a chronic history of infections and viruses. Alongside a weakened immune system, children can also experience a delay in growth if they have sleep apnea. Oxygen is critical to keep the body healthy and grow during a child’s youth. Sleep apnea prohibits the child from a steady flow of oxygen during sleep and this can significantly halt growth spurts and physical and mental development. What to do if my child has sleep apnea? If your child snores and you are wondering if sleep apnea is the culprit, there are several things you can do. First and foremost, go visit your doctor or pediatrician immediately. It’s a small price to pay in order to keep your child’s health and development in check. If you think you need a second opinion, consult an ENT doctor. They can shed more light on the specifics of how and why your child snores. They can provide details on the anatomy of your child’s throat and if there is any evidence of inflammation or infection that might be blocking the flow of air. It’s possible that a deviated septum in the nose may also be blocking the intake of air through the nasal cavity. 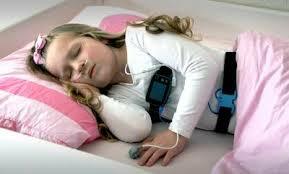 It’s not uncommon for children and adults to undergo a sleep study. In fact, sleep studies can now be performed in the comfort of your own home. This option may be a better fit for your child because you can administer the study in their crib or bed at home instead of scaring them with an overnight stay at a sleep study center. These studies have come a long way in recent years and many simply involve wearing a finger clip monitor and a few discrete sensors. It’s crucial to take action as soon as you witness your child snoring. The reason may be as simple as them having a cold or respiratory infection which is creating a temporary blockage in their throat. However, it’s strongly encouraged to consult with your doctor to determine the underlying cause of the snoring, preventative measures to stop it, and an effective treatment plan if it does seem to continue. Coblation Tonsillectomy For Snoring & Sleep Apnea – Is It Really Better? Next post: What is an FDA “Approved” Snoring Mouthpiece and Why Is it So Important?